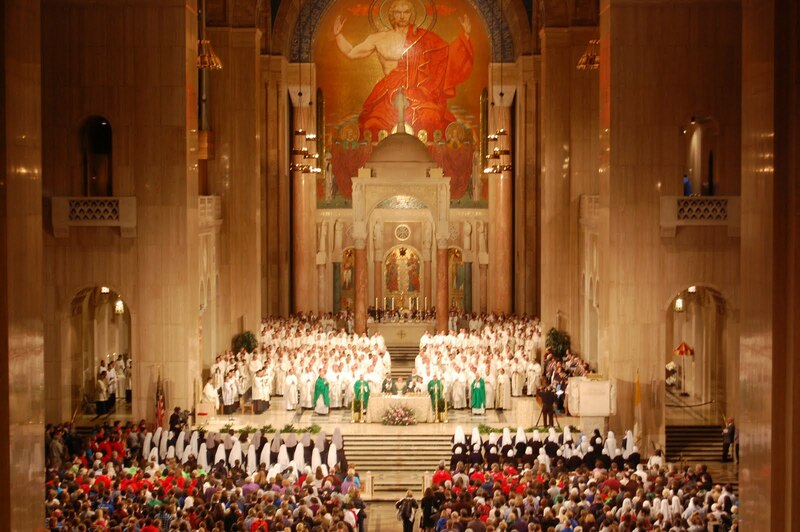 Not too long from now, on April 27th, the Catholic Church is going to do one of the things it does best: throw a big party! The occasion? Two popes, arguably two of the most influential in the history of the church (and that’s saying a lot) will be elevated to Sainthood. It’s Catholicism’s way of saying they made our All-Star team. 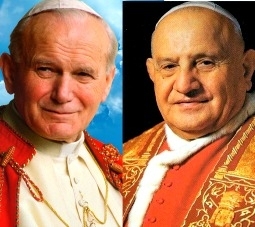 If you’ve been keeping up with the news, you probably know who they are….Pope John Paul II (1978-2005) and Pope John XXIII (1958-1963). Perhaps you’re like me, and grew up in the waning years of John Paul II’s life. I can recall news reports of him waving before enormous crowds, with that huge Polish grin on his face. I remember the love he exuded wherever he set foot. Perhaps you also remember the news reports as his health began to deteriorate, and perhaps you even remember turning on the TV as I did, to learn that he had “gone to the house of his father.” One thing is certain: he electrified a generation, and if you grew up in the 90’s like I did, some would even say you were born in the tail-end of what’s now being called the “John Paul II” generation. 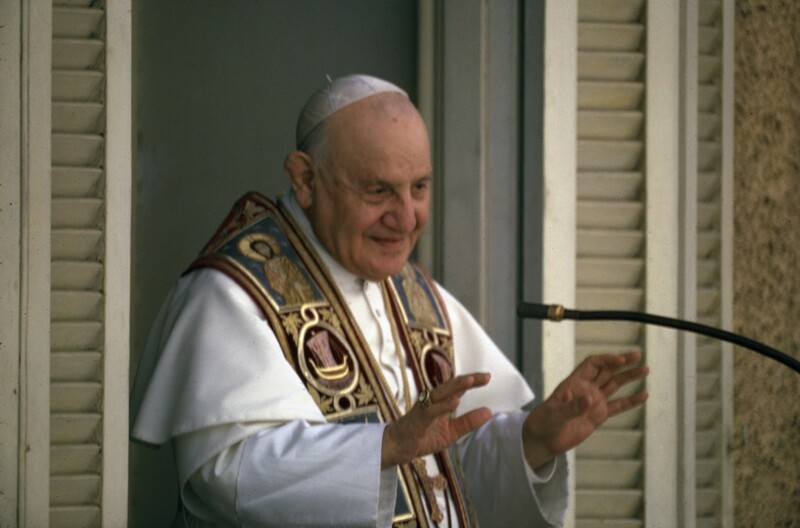 Well, almost ten years have passed since his death, and his face is once again all over the news, as the Church prepares for his canonization. And we should be excited! Yet, I can’t help but feel a little sorry for the man who’s being canonized with him, remaining in relative obscurity in the midst of all the hustle and bustle. 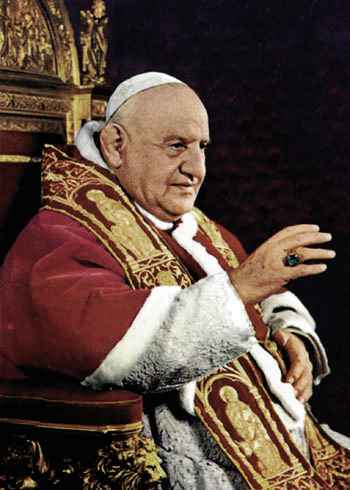 In fact, the Church owes an incredible debt to the man we know as Pope John XXIII. He’s been revered since his death in 1963, so much so that two of his successors (John Paul I & John Paul II) even chose to honor him when choosing their own papal names. Yet, among younger generations, his name has gotten lost. So who is John XIII, and why is he so important for us today? And so, consecrated a bishop, Roncalli ventured to Bulgaria – an Orthodox country with no real Catholic heritage, with little diplomatic experience, where the title of “Archbishop” didn’t carry much weight. And yet, it was this experience that would help pave the way for the Church in the twentieth century, and indeed, Vatican II. 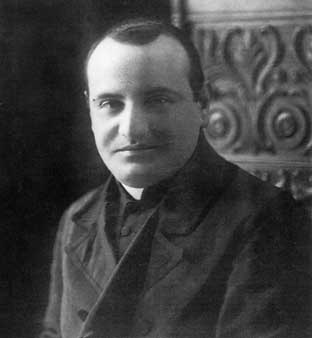 Let’s look at a quote from his Journal: “May my ministry be one of reconciliation ‘in word and deeds’, and my preaching ‘not in the persuasive words of human wisdom but in the manifestation of the Spirit and power’ and the authority conferred on me by the Church never be used for my own glory – used not to break down but to build up.” And that’s precisely what he did. Roncalli built relationships with the Orthodox Church, arriving unannounced at Orthodox liturgies and monasteries, breaching a thousand-year gap nobody yet dared to cross. In a part of the world where the Catholic Church was viewed as no more than a missionary outpost, where Catholics even viewed themselves as subordinates of some sort, Archbishop Roncalli brought renewed life and hope. He even sought to establish a Bulgarian seminary to train priests in the Western and Eastern Catholic rites. Sadly the dream was never realized, and the long-awaited funding from Rome never arrived. The years went on, and he was eventually sent as a diplomat to Turkey and Greece, where he encountered new struggles. Largely ignored by the Vatican, he was at times discouraged. 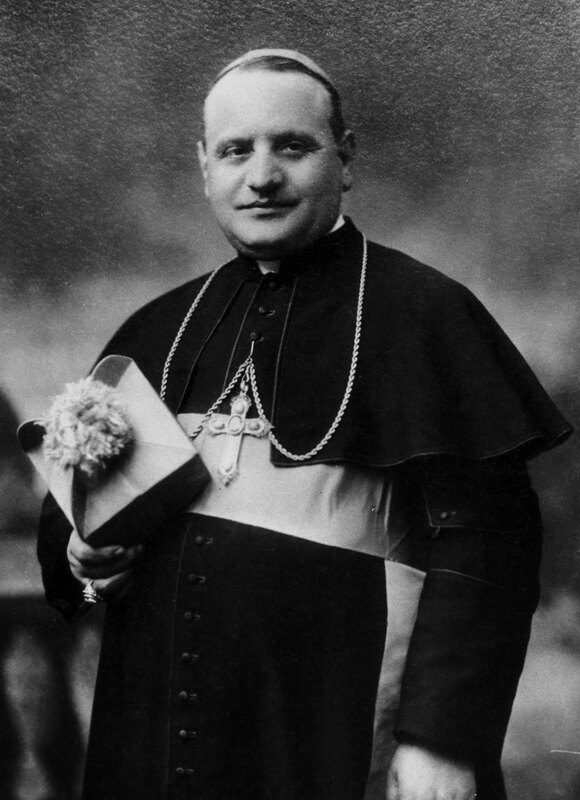 World War II broke out across Europe, and again Roncalli went to work, using his diplomatic skills to send aid to German-occupied areas. As rumors of concentration camps began to leak, he used his network of connections to delay the transfer of thousands of Jews to concentration camps – enough time to get them immigration certificates to neutral countries. As if he had not done enough in his life, he was sent to France in 1944, a country in crisis after the war, with a government ready to oust its own bishops. He plowed forward, working closely with the people he came to serve, fervently defending the faith against an ever-rising tide of communism, socialism, and new existentialist philosophy that threatened the Church. In true diplomatic fashion, he was elevated to the rank of Cardinal and appointed Archbishop of Venice, where he told a welcoming crowd at his first mass there, “I commend to your kindness someone who simply wants to be your brother.” Now in his 70’s, age and health had begun to take their toll and Roncalli hoped to finally settle down. Pope Pius XII died in October 1958, and Cardinal Roncalli came to Rome to elect a new pope with a return ticket to Venice in his pocket. It soon became clear that God had different plans for the aging Cardinal.